Getting anything delivered across borders can result in complications, luckily though, within the EU getting international deliveries is very easy. Whilst there can be more complications than with a domestic delivery it’s pretty simple to get a German courier to deliver to the UK or vice versa. When you are going to be delivering something internationally you should always ensure that it’s properly prepared for transportation and do your research about the relevant transporters. Before you pack your goods for transport to Germany you should make a record of the condition they’re in. This is important for any claims of damages you wish to make once your items arrive. It’s a good idea to take photos of your delivery too, this can serve as hard evidence of the condition it’s in before shipping to Germany. For transporting items with moving parts like machinery or things that can come apart (like furniture) you should always make sure that these are secured and locked in place, as movement during transit is likely to damage them. To save space, items that can be disassembled should be taken apart prior to packing. When packing items think compact and padding, especially for fragile items, keeping things from moving about and making them easier to stack are the key issues when packaging items for transit. Transporting items to Deutschland is obviously going to be more expensive than shipping within the UK, the sheer distance will predicate a higher price but other things can increase the cost of shipping to Germany. Toll roads, for example, will be included in the cost of transporting by road. Customs: Your items may also be subject to charges when it clears customs, contact the import authority to find out more about bringing items into Germany. Whether you need to delivery to Dortmund or a courier to Chemnitz you should you’re your options when choosing a courier to Germany service and know what to look out for when picking one. If you’re transporting delicate items or something large and bulky then you might need to employ the services of a dedicated transporter. Pianos, antiques or cars can all require highly specialised shipping and handling, so make sure you know what kind of transporter you need in advance. 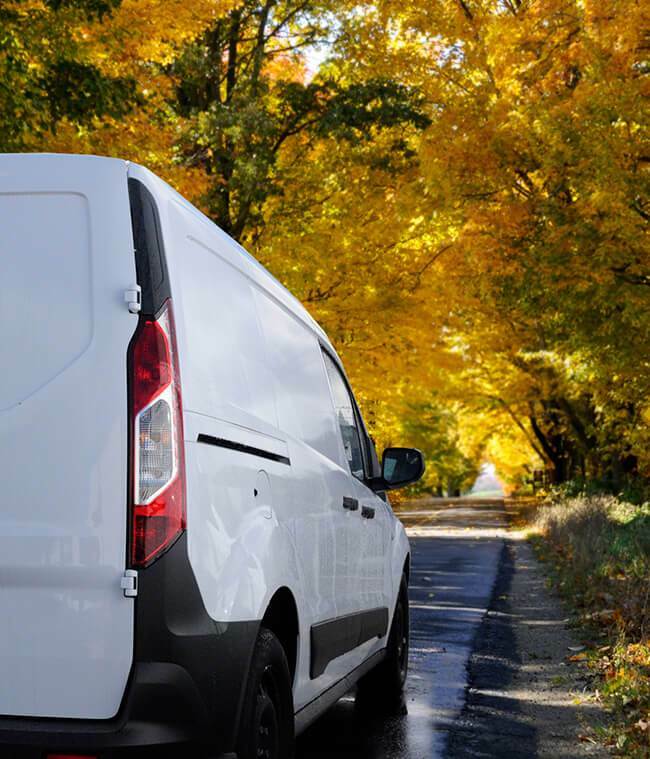 An alternative to a specialist courier to Germany is the option to hire a general van man, these independent delivery drivers may charge less than a bespoke service but usually also lack the expertise. This kind of transporter is adequate if you only need smaller or simple items delivered, items such as furniture can usually be hauled by a man and van service. When you know whether you need a specialist or general delivery service for your German consignment you should check the following of the companies you inspect. Insurance: All reputable couriers that deliver to Germany should have a comprehensive insurance plan. Goods in transit insurance covers carriers for a value up to £10,000, if you need more than this it’s important that you talk to the courier service about it. Accreditation: Finding a reliable courier can be a simple as finding one that’s registered with a recognised association of delivery drivers. Whilst a great deal of independent couriers that deliver to Germany are legitimate, being a member of a regulatory body does indicate a certain standard of service. Experience: A courier doesn’t have to be an expert, but having some experience in delivering similar cargo to your own can help. Reviews: Finding feedback from people who have used that particular courier to delivery things to Germany in the past can be invaluable in narrowing down your options. Comparing your options for goods transport to Germany can be difficult, especially if you intend to shop around for the best delivery quote. Asking for price estimates from all available firms could take longer than it would take to drive the package across Europe yourself (including a ferry!). This is where Shiply can help you out, by uploading you delivery to our site you can get delivery quotes from transporters who are already making the trip to German soil. Just upload the details of what you’re moving, where it’s going and when you need it there and thousands of available couriers will be able to quote you a price for delivery. You can compare services based on their price as well as the feedback they’ve received from other deliveries completed on Shiply – if they regularly make the trip to and from Germany then your goods might be able to fill spare capacity in their vehicle, saving you up to 75%. Bear in mind that when you’re transporting things internationally there can potentially be many things that delay the delivery so keep one eye on the news to look out for anything that could potentially waylay your transporter. Once you’ve received your German delivery please leave feedback for the service you found on Shiply – feedback you leave will both help the transporter improve their service and also help other users looking for shipping to Germany.